I remember when I used to scour the stores looking for just the right basket. And when I found that, I went hunting for the just the right gift. What was it they were into at that particular time, in that particular year? Their whims changed with the wind and turned me into a weather vane, always pointing in a different direction. It gave me untold pleasure to follow their beckoning. I would hide to arrange everything in their baskets just so. And then hide the baskets themselves until that Saturday night when I had to stay up and wait till they were sound asleep. Only then could I sneak into their rooms and place the basket where it would be the first thing their eyes would light upon come Easter morning. Those days, those moments are now filed away in my memory banks. They are images of times past, marching before my eyes like clips of a movie collage. I needn’t worry anymore about constructing the perfect Easter morning surprise. Now they surprise me. Now they give to me. The most precious of all gifts. 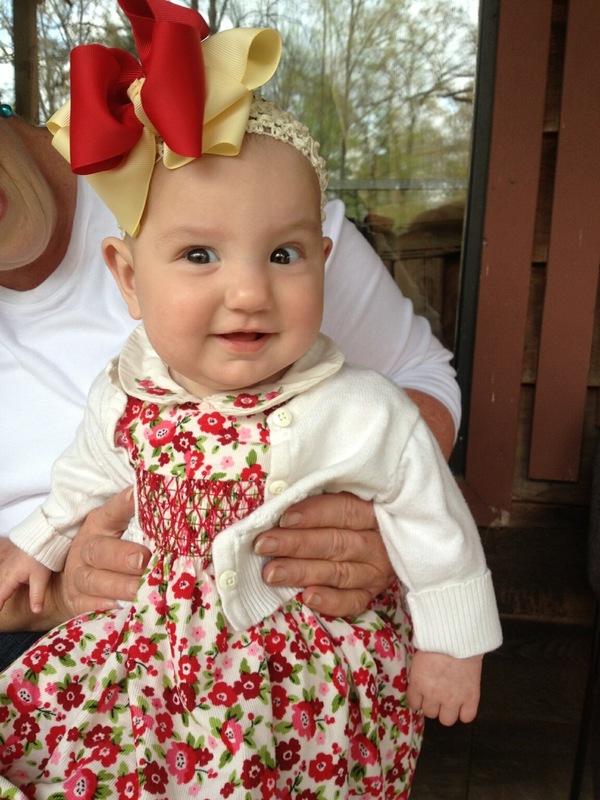 My granddaughter Carmen (for some reason reminding me of Carmen Miranda). This entry was posted in Celebration, Family, Happiness, Humor, Life, Love and tagged Basket, Carmen Miranda, Easter, Gifts, Holiday, Shopping on March 31, 2013 by Irma.